Sen. Elizabeth Warren (D-Mass.) has raised $6 million in the first three months of her presidential campaign, reports Politico. Details: About 135,000 people gave 213,000 contributions that average about $28 per donation, per Politico. Warren has already spent nearly 85% of her funds campaigning. 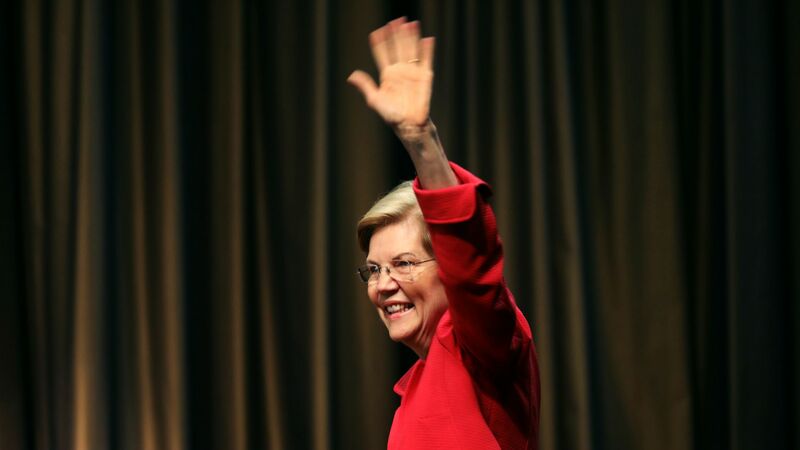 By the numbers: Warren is in the middle of the pack of the crowded 2020 Democratic field for reported first quarter fundraising. So far, Sen. Bernie Sanders leads the way with $18 million, followed by Sen. Kamala Harris ($12 million), Beto O'Rourke ($9 million) and Pete Buttgieg ($7 million). And while Warren lagged behind other candidates, she still has $11.2 million on hand from her 2012 Senate campaign, reports Politico. The big picture: Warren is keeping her pledge to stay away from big money fundraisers and accepting donations from PACs and super PACs, focusing instead on raising her campaign funds from grassroots donations.